If you have a scar on your face or body that is robbing you of your self confidence and self esteem, you can try a home recipe for scar cream in an effort to fade the scar. However, home remedies for scars are anecdotal, based on the experiences of others who have successfully used them to reduce their own scars, so there is no guarantee that the home treatments will work for your condition. Therefore, you should see your doctor for advice on prescription or over-the-counter treatments. Pour the contents of one Vitamin E capsule, or 1/4 tsp. of liquid Vitamin E, into a small bowl. Massage the Vitamin E oil onto your scar a little at a time, until you have used all of the oil in the bowl. Repeat Vitamin E oil treatment one to two times per day until you achieve desired results. Add 2 tbsp. of fenugreek seeds, available from health food stores and online herbal suppliers, to 4 oz. boiling water. Boil fenugreek seeds in water for five to seven minutes, remove from heat, and allow to cool to room temperature. Apply fenugreek solution to affected area two to three times per day until you achieve desired results. Mix 1 tbsp. fuller's earth, available from online clay or herbal retailers or from local health food stores, with 1/2 tsp. each lime juice and rosewater. Rosewater is also available online and at health food stores. Apply the paste to scars and let sit for 30 to 45 minutes, then wash off. Repeat fuller's earth scar home recipe one to two times per day until you achieve desired results. Place about 1/4 cup of freshly diced onions into a blender, blend on low until onions liquefy, and pour the onion juice into a small bowl. Add 1 tbsp. olive oil to onion juice and stir thoroughly. Apply the mixture to affected areas and leave on for 20 to 30 minutes, then rinse off with cool water. 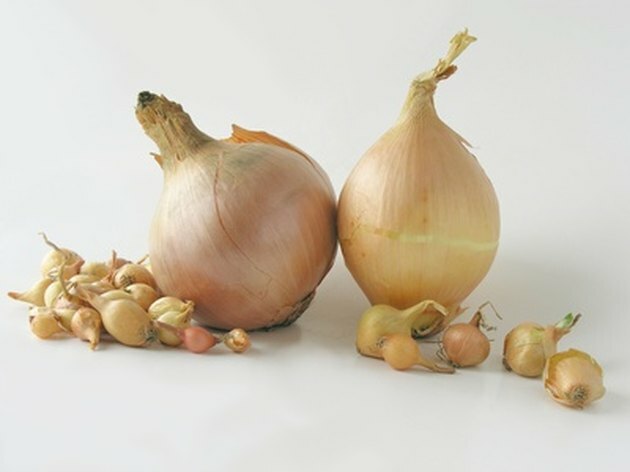 Repeat onion juice and olive oil remedy one to two times per day. Mix 2 tbsp. each sour cream and plain yogurt in a mixing bowl. Add 1 tbsp. of plain, uncooked yogurt to mixture and stir thoroughly. Apply paste to affected area and leave on for 15 to 20 minutes, then wash off with cool water. Repeat oat and cream remedy one to two times per day. Stop using any homemade scar cream immediately if you experience any skin irritation, and see your doctor to determine alternate treatments.